A family-friendly event that gives Oregonians a close up view of the state’s historic records, including Oregon’s original Constitution. In recognition of National Archives Month, the Oregon State Archives will hold its annual Open House on Saturday, October 6 from 10:00am to 3:00pm. The event will include a new gallery exhibit on the history of the Oregon State Fair. Visitors can participate in activities that include games, puzzles, coloring, and trivia. Prizes and giveaways will be featured throughout the day. This event is free and light refreshments will be provided. In addition, “behind the scenes” tours will be available of the State Archives records storage area so visitors can learn more about the Archives and its holdings. The 20-30 minute tour will provide an opportunity to see some of Oregon’s most significant historical documents, including the original Oregon Constitution. The State Archives is located at 800 Summer Street NE in Salem. Regular hours are 8:00am to 4:45pm Monday through Friday. Deadline April 13th: Culture Development Grants Due Soon! It’s crunch time for cultural grant writers in Oregon – applications for FY2019 Cultural Development Grants are due by 5 p.m. on Friday, April 13. Trust Manager Aili Schreiner has limited appointments remaining for scheduled application consultations between now and the April 13 application deadline. Please email aili.schreiner@oregon.gov to set up a call. This festival is a traditional Chinese festival which involves cleaning ancestors’ graves and paying them homage. We will be honoring the Chinese citizens that lived and died in Salem around the turn of the twentieth century. During the decade of the 1850s, the Oregon Territory progressed toward statehood in an atmosphere of intense political passion and conflict. Editors of rival newspapers blamed a group of young men whom they named the “Salem Clique” for the bitter party struggles of the time. Led by Asahel Bush, editor of the Oregon Statesman, the Salem Clique was accused of dictatorship, corruption, and the intention of imposing slavery on the Territory. Mahoney will be available after the presentation to sign books, which are available for purchase at Oregon Capitol Store. This event is free and open to the public. During the decade of the 1850s, the Oregon Territory progressed toward statehood in an atmosphere of intense political passion and conflict. Editors of rival newspapers blamed a group of young men whom they named the “Salem Clique” for the bitter party struggles of the time. Led by Asahel Bush, editor of the Oregon Statesman, the Salem Clique was accused of dictatorship, corruption, and the intention of imposing slavery on the Territory. 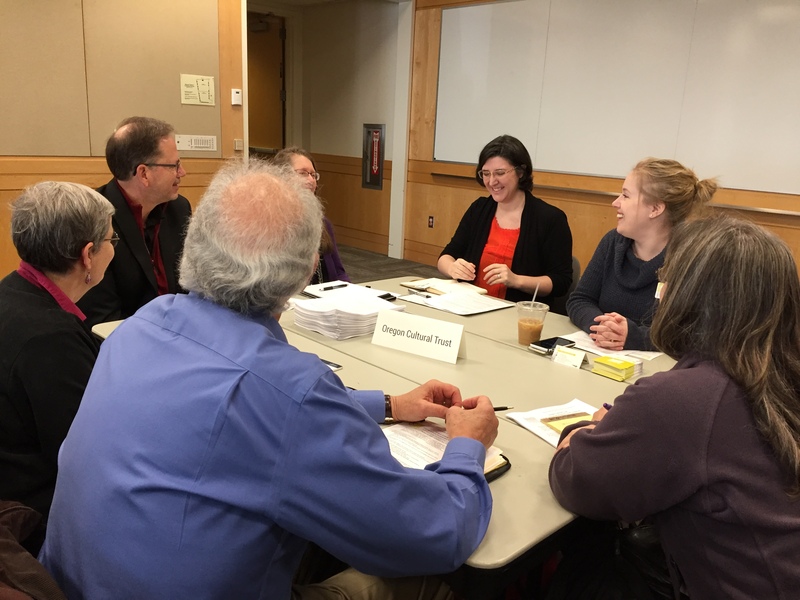 More than $5 million in funding will be on the table when Oregon Cultural Trust Manager Aili Schreiner joins with colleagues from the Cultural Trust’s Statewide Partners and other funders Feb. 6 through March 8 for “Conversations with Funders and Partners,” a 14-stop state tour. Attendees will learn about grant programs available from multiple grantmakers and will have the opportunity to discuss their projects and programming (find shared Grant Calendar here). Other statewide programming resources also will be presented. Make sure to check out the schedule here! Maxville Heritage Interpretive Center’s exhibit “Timber Culture” will be on display in the Oregon State Capitol Galleria for part of Black History Month. 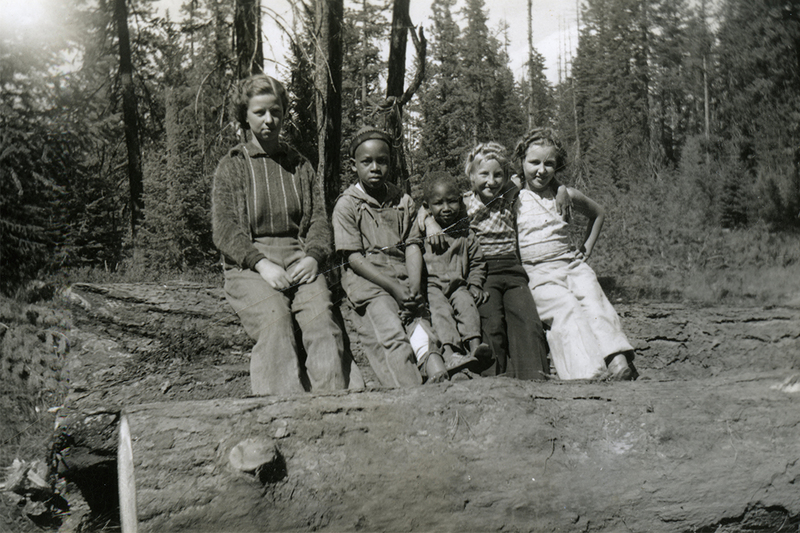 The exhibit offers an exclusive look at Oregon’s multicultural logging industry. The exhibit depicts the lives of loggers and their families drawn together from different cultures during the great migration. Visit tinyurl.com/chg-maxville to learn more. This free visitor experience is sponsored by the Capitol History Gateway, a project of the Oregon State Capitol Foundation. With your support, the Oregon State Capitol Foundation works to provide free cultural and educational opportunities for the public. For more information about events at your Oregon State Capitol, please call Visitor Services at 503-986-1388 or go to the events page at: oregoncapitol.com. Make sure to join the Salem Art Association for their 19th Annual Clay Ball: Silver Screen. This event will take place on Saturday, February 24th from 5:30-10pm at the Salem Convention Center. Featuring a charity auction and gourmet food and wine, this fabulous annual fundraiser will be one for the ages! Get your tickets today! 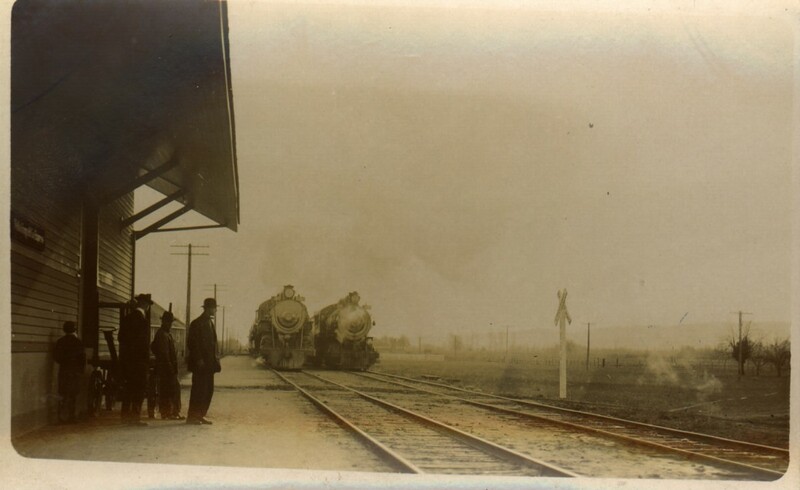 Join the Willamette Heritage Center for their new exhibit starting on January 27th and running through April 21st. This is the 8th Annual Heritage Invitational Exhibit. WHC joins with organizations from all over the valley to present you with this special exhibit about how and why people came to the Willamette Valley. Make sure to join the Bush Barn Art Center for Fine Art Friday on Friday, January 19th from 5:30-7:30 pm! On view during the first reception of 2018 will be Nancy Lindburg – Images of Time: 65 Years of Art and Life; Matthew Boulay: Combat Grass; Featured Artist: Stephen Kekule; Emerging Artist: Aaron Wilson; and Artist-in-Residence: Eilish Gormley. Come mingle with artists and other people from the arts community. Light refreshments will be provided by the SAA Gallery Guides and Roth’s Fresh Markets. This annual holiday event is a must-see! 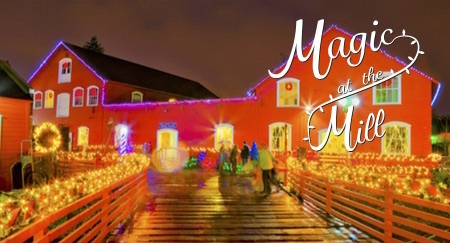 There’s everything both adults and children will love: activities, seasonal food and drink, lights, history, and of course Santa! Every night from 5:30-8:00pm. Check out this link for more information!